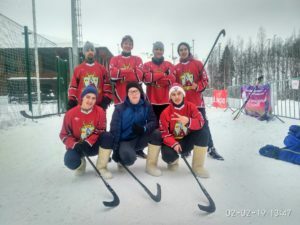 On Saturday, February 2, an interreligios hockey tournament in the boots was held in Okhta–park. The Church of Ingria team took part in it and got the 2nd place, winning the three games out of four. The first and third place on the podium was taken by the teams of the Tikhvin diocese of the Russian Orthodox Church and the Muslims of St. Petersburg respectively.